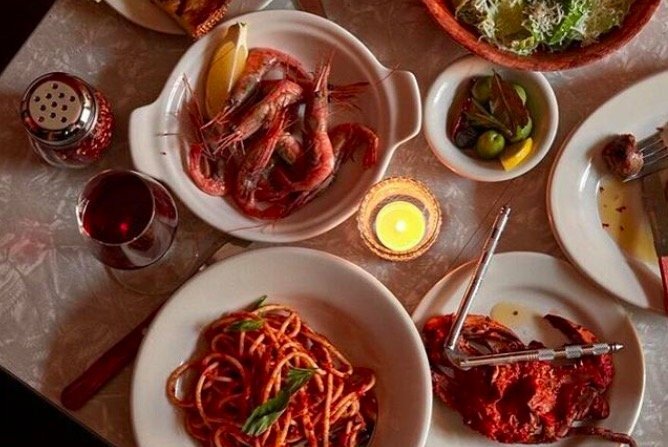 The spread at members-only Palizzi Social Club. Getting dinner at Palizzi Social Club, lauded as one of the country's best new restaurants of the last few years, hasn't been easy for anyone who isn't a card-carrying member. The space, which initially opened in 1918 as a private club catering to Italian immigrants from the town of Vasto, reopened in 2017 with a refreshed atmosphere, new menu – and a short-lived supply of $20 walk-in memberships available to anyone interested in dining there. The membership stalemate is coming to an end soon – however briefly – this spring, the restaurant announced on social media. In light of the eBay scandal, Palizzi Social Club posted to Instagram, noting new memberships would go on sale in March. Attn members: It is illegal and against club policy to sell unmarked or attempt to transfer membership cards. Anyone doing so will be permanently banned, along with the person who recommended them, and the person who purchases such a card. Moving forward you must present your valid I.D. with your membership card at the door. We will begin accepting new members in March. More info to come. There aren't any more details on when the new memberships will be available, or how many will be offered, so it's looking like getting a seat at Palizzi could be as difficult as nabbing tickets to Hamilton at the Kimmel Center. We'll be sure to circle back when more info is announced. In the meantime, pick out what you're going to eat.